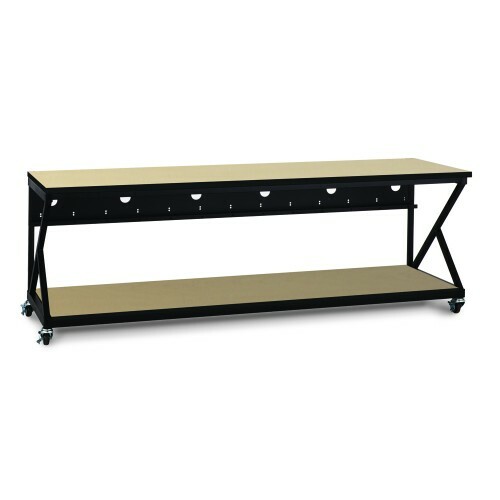 The Kendall Howard 96" Performance 300 Series® LAN Stations/Workbenches have a 28" deep lower shelf providing plenty of depth for storage under the work surface. 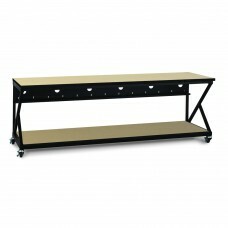 Two 14" deep modular shelves form the lower shelf and together have a weight capacity of 500 lbs., making this LAN Station both strong and functional. The work surface height is fixed at 30". Another feature is the built-in cable management channel keeps network cables and power cords neat and organized. Its completely modular design makes it simple to create the perfect work station. Simply add the accessories needed to create the work station suitable for you.